Houston County Habitat for Humanity | Donate today to support Houston County Habitat! Donate today to support Houston County Habitat! One of our greatest needs for HoCo Habitat is a reliable stream of support over the course of the year. No amount is too small, but is critical to helping more families find strength, stability and self-reliance through decent and affordable shelter. Join our Monthly Giving Club! It offers you a convenient and easy way to help us plan and budget to bring affordable housing in Houston County. 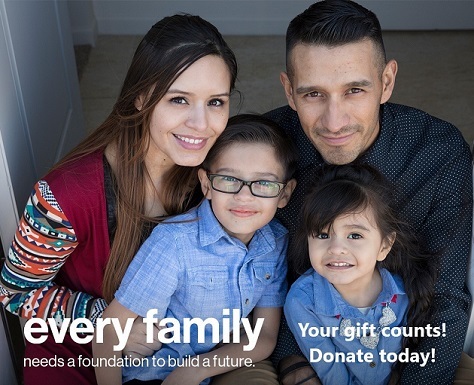 You'll receive a special thank you gift and updates on our Habitat families. Donate 100% - Add 3% so that 100% of the donation goes to Houston County Habitat for Humanity. Houston County Habitat for Humanity has partnered with Network for Good to securely process your online credit card payment via Network for Good (tax ID 68-0480736). This transaction will appear on your credit card statement as "Network for Good." This transaction is subject to Network for Good’s Privacy, Security & Disclosure Statement and the Charitable Solicitation Disclosure.